OAKLAND – The Golden State Warriors sent a harsh message to the Cleveland Cavaliers in Game 1 of the NBA Finals and will try to take a 2-0 lead in the series when they host Game 2 on Sunday. The Warriors thrashed the Cavaliers 113-91 in Thursday’s opener as Kevin Durant and Stephen Curry had little trouble navigating the Cleveland defense. 1. The Warriors are 13-0 in the playoffs and are trying to become the first team to go through the postseason undefeated. 2. Cleveland’s 91 points on Thursday marked the first time it scored fewer than 108 points this postseason. 3. Golden State head coach Steve Kerr did not coach Game 1 but reportedly could return for Game 2. NASHVILLE – Home cookin’ traditionally provides a bountiful feast for the Nashville Predators, who hope the change of scenery goes a long way in altering results when they host the Pittsburgh Penguins on Saturday in Game 3 of the Stanley Cup Final. Music City has been a safe haven for the Predators, who are 7-1 in these playoffs at Bridgestone Arena and winners of 11 of their past 12 playoff contests. Nashville defenseman P.K. Subban is confident that victory will be on the menu Saturday, providing what is tantamount to a guarantee as well as bulletin-board material for his opponent. “There’s no question. We’re going to win the next game, and then we’ll move forward,” said the outspoken Subban, who has seen his team outshoot the Penguins 64-39 — only to be outscored 9-4 in losing the first two contests of the best-of-seven series. Jake Guentzel has been responsible for both game-winning goals of the series, scoring with 3:17 remaining in Game 1 and setting an NHL rookie record for a playoff year with his fifth such tally in Wednesday’s 4-1 victory. The 2-0 series lead is a familiar one for Pittsburgh, which also claimed that advantage last year before skating past San Jose in six games to capture its fourth Stanley Cup in franchise history. ABOUT THE PENGUINS: While the 22-year-old Guentzel leads the league in goals (12), fellow forward Evgeni Malkin added to his advantage in points (26) by scoring a goal in his second straight contest Wednesday to send beleaguered Pekka Rinne to the showers. The 2012 Hart Trophy winner has recorded six points (three goals, three assists) in his past five games. Chris Kunitz is doing quite well in his own right by matching a career high with three straight multi-point performances in the playoffs, during which he has collected two goals and five assists. 1. Pittsburgh LW Conor Sheary has scored a goal and set up two others during his three-game point streak. 2. Nashville C Filip Forsberg leads the team with eight goals and 15 points in the playoffs, but has been held off the scoresheet and is a minus -2 in the Stanley Cup Finals. 3. Penguins C Nick Bonino missed Friday’s practice due to a lower-body injury and is a game-time decision for Saturday’s contest. OAKLAND – (Special to Digital Sports Desk by The Sports Xchange) – The health of Golden State Warriors coach Steve Kerr has improved, and there is a chance he may return for Game 2 of the NBA Finals on Sunday, according to ESPN.com. “He may coach Sunday. He’s feeling better,” a source close to Kerr told ESPN’s Marc Spears late Thursday night. Kerr has been bothered by back problems resulting from last year’s surgery. The Warriors have not confirmed that Kerr will be back Sunday, and guard Klay Thompson and acting head coach Mike Brown have not been told Kerr will be coaching on Sunday. “I hope he comes back as soon as possible, but I haven’t heard anything yet,” Thompson told Slam Magazine. On Friday’s media conference call, Brown said he had heard nothing to change his status. Kerr still has two days to make a decision on whether he will return to the sidelines on Sunday. ESPN.com reported Kerr considered returning for Game 1 of the Finals before he had a setback on Wednesday that convinced him to let Brown continue in his role as acting head coach. Kerr has been out since Game 2 of the Warriors’ first-round series against the Portland Trail Blazers. His absence have not affected the team’s performance, since the Warriors have won all 11 games without him, including Thursday’s Game 1 of the Finals. BALTIMORE — The combination of Alec Asher’s pitching plus the power of Seth Smith and Manny Machado helped the Baltimore Orioles win their third straight game Friday night. Smith and Machado each hit solo home runs in the first inning, and starter Asher threw 6 1/3 solid innings as the Orioles defeated the Boston Red Sox 3-2 on Friday night. Smith homered to lead off the first, and Machado added a 465-foot blast, No. 11 of the season, two batters later which gave Asher and the Orioles (29-24) an early 2-0 lead. That proved to be enough for the right-hander, who is trying to earn the No. 5 spot in the rotation. Asher (2-3) allowed two runs on just three hits. He struck out five without a walk and left to a standing ovation in the seventh. The right-hander bounced back after allowing six runs on six hits in just two innings and taking the loss last Sunday against the Astros in Houston. This was his second start since getting the chance to take Ubaldo Jimenez’s spot in the rotation. Asher said his shaky effort versus the Astros gave him some motivation for this start, and that certainly paid off. It has likely earned him another chance to start, too. Asher retired 16 of the first 17 batters he faced and did not pitch from the stretch until the sixth inning when Sandy Leon singled. The only batter who reached before that was Pablo Sandoval, who clubbed a solo home run. Jackie Bradley Jr. also drove in a run for Boston (29-25). Mychal Givens relieved Asher with one out in the seventh and allowed an RBI single to Bradley but got the final two outs. The third out came when catcher Caleb Joseph threw out Bradley attempting to steal second. Darren O’Day took care of Boston in the eighth before Brad Brach closed it, earning his 11th save. Asher outdueled Boston starter Rick Porcello (3-7), whose struggles continue this season after winning the American League Cy Young Award last season. Porcello allowed those two homers and three runs overall on eight hits in six innings, which he needed 118 pitches to get through. Porcello labored through a 31-pitch first inning, which proved costly, especially with the two homers he allowed. After the Orioles took the early 2-0 lead, the Red Sox cut the lead in half on the Sandoval homer in the top of the third. The Orioles answered in the fourth when Jonathan Schoop singled with one out and scored on a Hyun Soo Kim double, making it 3-1. Boston added one run in the seventh, on the Bradley RBI single, but the Orioles held on after that. NOTES: Baltimore 3B Manny Machado’s first-inning homer went into the second deck, the first player to hit one there at Camden Yards since Mark Reynolds on Aug. 7, 2011 versus the Toronto Blue Jays. … LF Hyun Soo Kim’s run-scoring double for the Orioles gave him his first RBI since April 24. 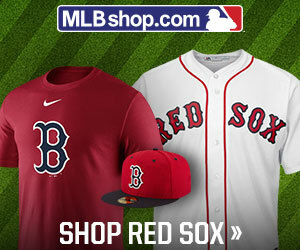 … Boston RHP Craig Kimbrel was named as the AL Reliever of the Month on Friday. He finished 7-for-7 in save opportunities in May. … Red Sox LHP Eduardo Rodriguez, who started Thursday for the Red Sox, was placed on the disabled list (right knee subluxation). RHP Brandon Workman was recalled from Triple-A Pawtucket.